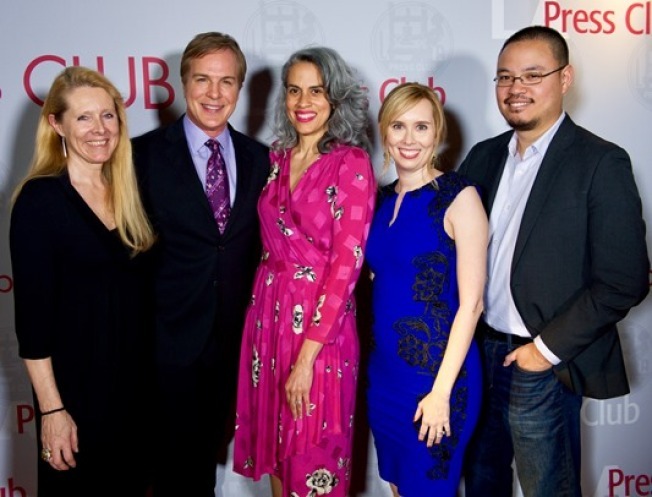 The Los Angeles Press Club presented its second Veritas Award on Wednesday, February 22 in Hollywood. NBC4 Anchor and LA Press Club President Robert Kovacik established the award last year for the best film based on or inspired by real events and people. This year the membership of the Club, by an overwhelming majority, selected “Hidden Figures,” the story of three remarkable women who broke color and gender barriers to serve a vital role in NASA during a critical moment in American History. Accepting the Veritas Award were “Hidden Figures’” Executive Producer Mimi Valdes and Screenwriter Allison Schroeder, who were both also nominated for Academy Awards. The two then participated in a discussion on-stage moderated by Los Angeles Times Film Critic Justin Chang.